Each year the Door County Maritime Museum, www.dcmm.org, hosts a class in wooden boat building. This year’s volunteer class instructors, David Morgan, Bob Schottmuller and Jerry McNamara, chose Newfound Woodworks’ Whitehall pulling boat. 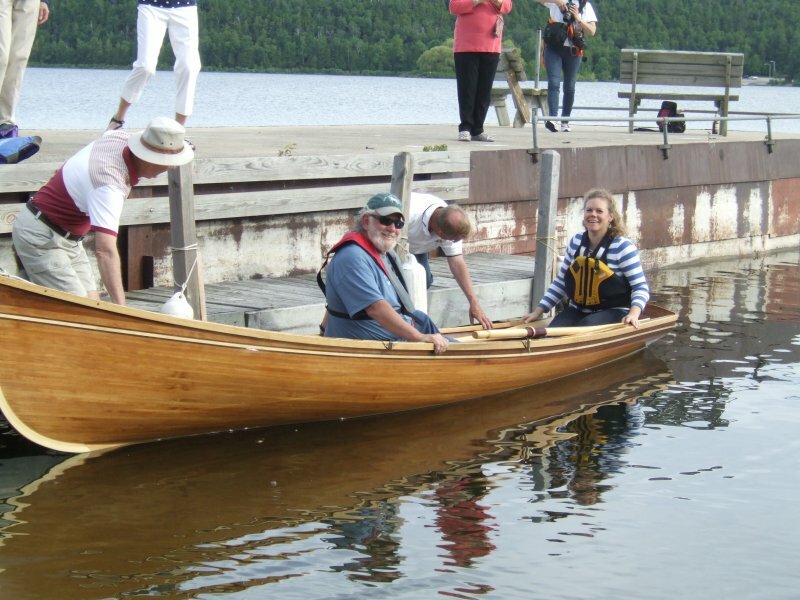 New class participants Richard Johnson, David Minarcik, John Rybski, and Kirk Schneeberg were joined by experienced Museum boat builders Ed Eickenberg and George Hoppa in crafting this cedar strip rowboat. Creating a lovely pattern with the Western Red Cedar strips and highlights with Door County Ash, Cherry, Walnut and Poplar, this Whitehall is truly a beauty. The finished Whitehall, aluminum Trailex trailer, and hand-crafted oars are now the grand prize in a raffle to benefit the Museum.